When the weather is yucky and you have kids cooped up inside, you might feel like you’re going crazy. What to do with rambunctious kids full of energy and nowhere to go? This is where commercial indoor jungle gyms can come in handy! Commercial indoor playgrounds can provide sweet relief for families (and kids) looking to go somewhere different and let all that energy loose. It also means that kids can stay on playgrounds year round, instead of just when the weather is nice. 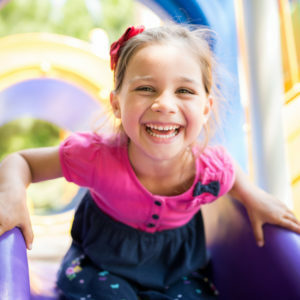 A kids indoor play structure facilitates activity and exercise 365 days a year and can help get them off electronic devices (which two-thirds of parents these days worry about) and playing with other kids their age. Local communities should consider looking at an indoor playground for sale and see where they might be able to install it. Why Are Commercial Indoor Play Structures So Beneficial? The childhood obesity rate is at almost 19% and despite the American Heart Association’s recommendation that children over the age of two get at least one hour of moderate physical activity every day, the majority of kids don’t. Under a third of kids are classified as “active to a healthy level” according to the Sports and Fitness Industry Association’s standards — 25 minutes of high-calorie-burning physical activity three times a week. Having ways to engage children in physical activity therefore, should become extremely important to both families and the communities they live in. Many indoor play structures engage not just the body, but also the brain, teaching children important motor skills, strategics, and creativity. An indoor play area allows kids to develop these skills no matter the hour, elements or the temperature. What Kind of Indoor Play Structures Exist? Some indoor play structures might simply be an indoor playground — the same things you might find in an outdoor structure, like a slide, ball pit, monkey bars, tunnels, etc., simply inside. However, indoor structures can also be a little more creative, since they’re not subject to the elements. A climbing wall, dress-up area, small sets with different toys or scenarios taking place, mazes, tunnels, and small carousels might all be featured in indoor play structures. Other inside play structures might be water-themed — complete with hoses, jets, waterwheels, and more! There might also be more toys included with indoor play structures. Dress-up chests, blocks, drawing material, and other educational toys are easier to store (and keep track of) in a contained, indoor space. Some spaces that have an indoor play structure might also host classes, activities, and other small sessions to keep children (and parents!) engaged. However, unlike most outdoor play areas, which are generally free, many indoor play structures do require an entry fee. In part, this is because they’re privately owned, likely pay rent themselves, and may offer a wider scope of activities than an outdoor playground. However, the fee can be worth it during long winter months, especially for fun play dates! Where Can I Find an Indoor Playground for Sale? If you’re considering an indoor playground for sale for installation in your own community space, there’s plenty to be found online. Whether you’re looking for a smaller, home-sized playground for toddlers or other young children, or a much larger one for children of all ages in a bigger community area, online retailers are often the way to go. They’ll be able to ship it right to wherever you need it to go and might even offer assembly, depending on where they (and you) are located. Brick-and-mortar children’s stores — especially toy stores — might have kits for smaller, personal indoor playgrounds, however. For larger indoor playgrounds, it’s probably best to go with a commercial site though, since they may have more resources (and safety guarantees) to accompany their product. If you’ve been stumped on how to keep your child moving, looking at an indoor playground for sale might just be the answer. Keep your child active and engaged, no matter the season or time of day, with the help of indoor playgrounds!